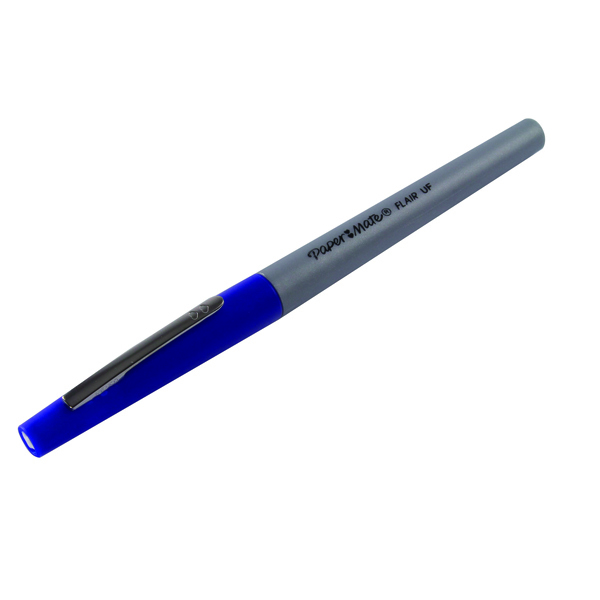 This Paper Mate Flair fineliner pen contains water based ink, which is quick drying and designed for minimum ink bleed through. The ulltra fine 0.5mm tip is ideal for precise, expressive writing, drawing and stencilling at home, work, or at school. This pack contains 12 pens with blue ink.